"Now I witness young girls at ages corresponding to mine during my hospital volunteer days, dying from maternity-related causes. They come in convulsing, hemorrhaging, or unconscious, often carrying unborn babies who have died before having a chance to live." Maternity wards are bustling with life—captivated families encircling squealing newborns. Even the agonizing cries of labor are life-giving. In fact, to be part of such an exhilarating vocation was the primary reason I was drawn to this field as a candy striper in my local hospital decades ago. But this is often not so in Jahun, Nigeria. Now I witness young girls at ages corresponding to mine during my hospital volunteer days, dying from maternity-related causes. They come in convulsing, hemorrhaging, or unconscious, often carrying unborn babies who have died before having a chance to live. This is hard to see. And the frequency of it here makes it even harder. 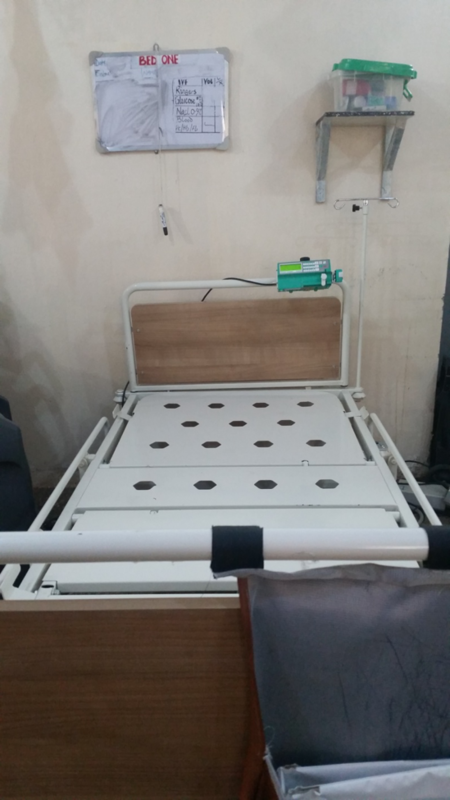 In fact, on morning rounds in the maternity ICU we often see beds without mattresses. This is the sign that a woman died in that bed during the night. The mattress is removed for cleaning. As a coping mechanism, my colleagues and I have developed a point system. We give ourselves points when a woman graduates out of the ICU to the annex (the regular ward), or when our emergency C-section saves a pregnant woman from hemorrhaging to death, and another point if the baby is born alive, as well. We lose points when a woman dies from heart failure or respiratory distress or—not uncommonly—some unidentified cause, or if a baby is not successfully resuscitated after birth. We are always working to stay on the side of positive points. Our collective morale depends on it. A few weeks ago we cared for a woman in the ICU during a longer than typical stay, 10 consecutive days. We all became so familiar with her case and the daily changes in her course. She had been unconscious during her entire hospital stay that began with an emergency C-section after multiple seizures. But at one point, she regained consciousness enough to hold, and even nurse, her baby. Encouraged and even elated, we became hopeful for a recovery with some quality of life for her. Then, a couple of nights later, she rather suddenly deteriorated and was not able to be resuscitated. On rounds the following morning the team members throw questioning glances at one another upon seeing her empty bed without a mattress. As we start to bypass her bed, I ask that we stop to acknowledge the passing of her life. The night call doctor recounts the events leading to her demise. The ICU physician summarizes the apparent improvements and setbacks in her hospital course. She also recognizes the diligent, compassionate care provided by her bedside nurses whom I admire as they regularly look after patients with bleak prognoses while holding onto hope and tenderness. I shed a few silent tears as we pivot to the next patient’s bed. This is a day of sorrow, deficient in points, with too much death, in a maternity unit, where death should be a rare event.